The most damaging facet of humanity is just how commonly flawed we, as a species, are. We are fickle. We are vain. We are petty. We suffer from greed, jealousy and lust. We often lack reason, especially when the idea or notion of vengeance enters our thoughts. We'd like to think that we're above that ugly truth. As individuals, at least. Yet subconsciously we crave those flaws in others. For some reason we need other people to be less than us. Weaker than us. More vulnerable to criticism. More open to failure. The evidence of this is everywhere. There isn't anything that we can do about it. It is in our DNA and has been present in every society since the dawn of time. 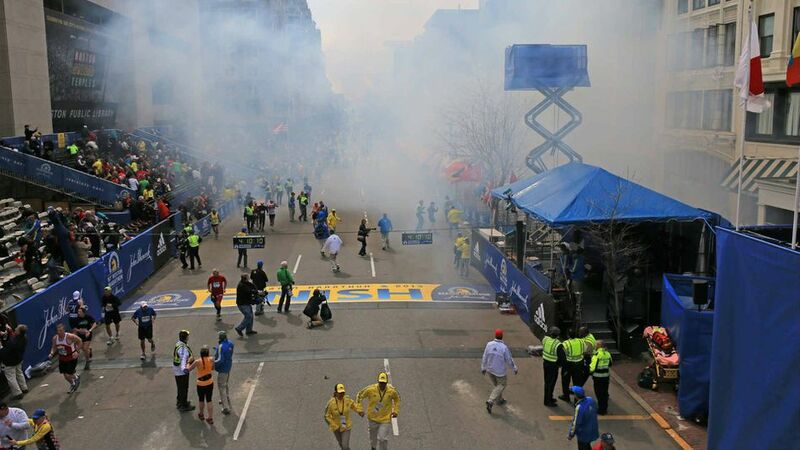 The events in Boston are the latest example of just how damaging it can be. Yet, the bad always seems to render and galvanize the good. Sports fans represent a cross-section of everything that humanity has to offer: vanity, insanity, fanaticism, jealousy, and, yes, graciousness, acceptance, passion, caring and concern. The good, the bad AND the ugly can be found in every sports town. Even the ones not named "Philadelphia." For every fan quietly enjoying the successes (or effort) of his or her team, there is another who can't help but torment supporters of the rival team with a ferocity that in any other situation would be considered criminal. Or calling out for the blood of a rival opponent because they simply don't like them. Or, worse, because they can't accept that accidents can happen and malicious intent is not always present when injuries occur, regardless of a player or team's history. For every color commentator comparing an unfortunate hit that caused an even more unfortunate injury to the acts of a convicted murderer, there are 300 others more worried about what's happening on the ice or on the field in that moment. And, likewise, for every blogger, tweeter or poster on the message boards just trying to express their opinion and do the things that they love, there are more that find joy in tearing others down just "because." The fact is we're all fans. All of us. Our fandom centers around our favorite teams. Our favorite players. Our favorite sports. Our favorite movies. Our favorite cities. Our wives, husbands, life-partners, children, spiritual leaders, fictional superheroes, real-life heroes, fast food joints. If there's one thing we have really relearned over the past week, it's that we are all fans of so much more than sport. We pull together for those that suffer. Those who have lost. More importantly, we rediscovered that we as individuals are capable of overcoming humanity's flaws when it feels like our back is to the wall. And that it's easier to face our own fears when we know that others share those same fears, despite geographical, philosophical, political or theological differences. Seemingly everybody this past week was Boston Strong. It wasn't the first time sports has given the "common man" a forum to support each other and it certainly won't be the last. In the end, it was our love of sport that allowed us to show that we are truly fans of each other, regardless of our differences. In spite of our various loyalties. For a brief moment, each of us focused on the fact that we're all on the same team. Months or even just days from now, we will all just be cheering for our own teams again. Not because we care any less or that we're insensitive. Rather it's because in sports, there are clear winners and clear losers. Sports follow specific rules, except for cricket, which nobody understands. Sports allow us to escape the mundane existences that we are often forced into. To shed some of the responsibilities life throws at us, if even for just a few hours. In sports, it's okay to be petty. To be vain. To be human. It's alright to just....be a fan.